Can adjust the proportion of ingredients accordingly. 1. Seperate the eggs. Beat the egg white until stiff adding half the quantity of sugar & keep aside. 2. Beat the egg yolks till creamy. Add remaining sugar, vanilla extract (or seeds of vanilla bean), whipping cream & whisk well. 3. Finally, fold in the egg whites. Refrigerate it. 4. 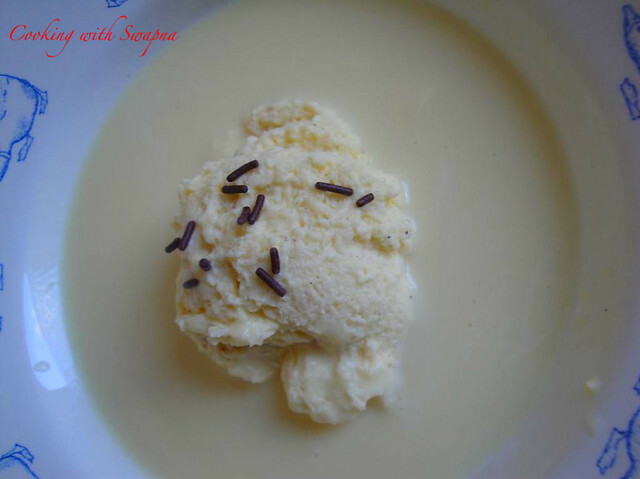 Take 5 tbsp of milk & mix the custard powder without any lumps. Keep aside. 5. Warm the balance milk & add sugar. Add the custard powder milk & bring it to boil on simmer. 6. Once it starts thickening, switch off the flame. Allow it to cool. 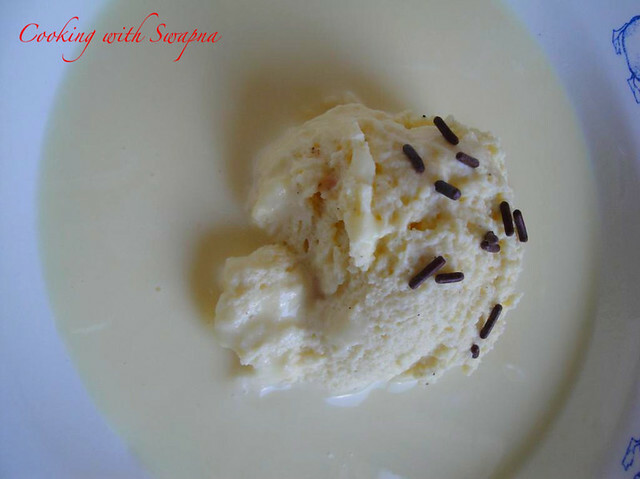 Serve a scoop of vanilla mousse with the custard sauce. 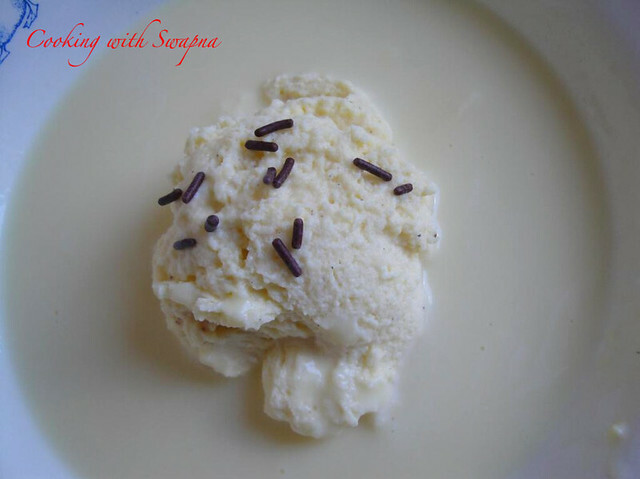 Delicious vanilla mousse and sauce !